Hey there, Emily Tebbetts here! Instagram stories are a powerful new way to reach your audience. 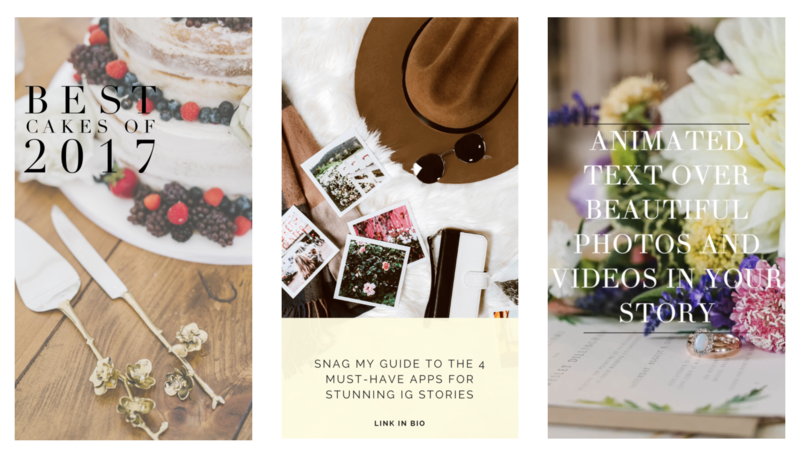 These 4 apps will help you create stunning content for your Insta stories that will instantly stand out and reinforce your brand. Just enter your name + email below so I can send you your guide to the 4 must-have apps for creating stunning IG stories! Don't worry, we hate spam too! We'll only send you emails occasionally with more helpful resources for growing a business you love. You can unsubscribe at any time. Check your inbox for an email from us with a link to your guide!